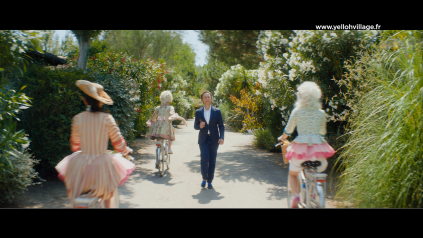 Discover the new YellohVillage advertisement with Sir Stéphane BERN. He perfectly represents the values of Yelloh! Village, made of generosity, excellence, smiles and sincerity. Signed Blue Egg, this new television commercial ads “Les vacances des rois”, Yelloh! Village illustrates with humor the royal holidays that its customers will live during their stay in camping-village! So, it tempts you royal holidays in camping, in the most beautiful hotels outdoors?